The JAO(Junior Accounts Officer Telecom) be appointed in the IDA pay scale Executive [E-1] of Rs 16,400 – Rs 40,500/- with annual increment @ 3% of basic pay plus IDA, HRA, Perks, Medical Benefits, etc. admissible as per BSNL Company rules. M.COM / CA / ICWA / CS from a recognised institution / University (as on 1st Jan 2017 as per Recruitment Rule of BSNL). However, the upper age limit relaxation is as per the standing instructions of Government of India. 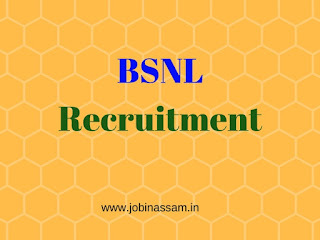 Prepare for the post of BSNL Junior Accounts Officer with a proper guide. Get this BSNL Junior Accounts Officer guide now. Limited stock. Intending candidates need to apply online through www.externalexam.bsnl.co.in from 10th Sep 2017 to 15th Oct 2017. The prescribed examination fee of Rs 1000/- (Rupees One thousand only) for UR/OBC candidates and of Rs 500/- (Rupees Five Hundred only) for SC/ST candidates shall be paid through online mode i.e. Internet Banking, Credit Card, Debit Card only.